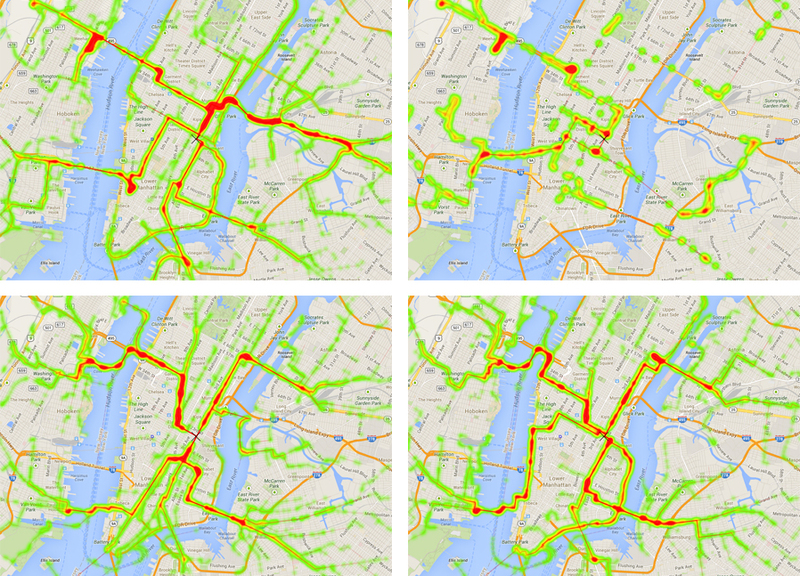 InvisibleRoutes is a powerful tool for urban and territorial analysis, to be used in all those locations of the world where Google Directions are available. 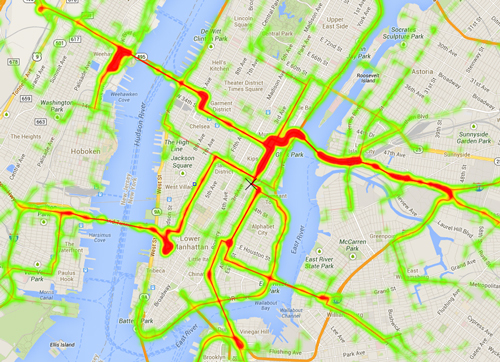 This online sotware evaluates the preferred routes to reach the destination at the center of the map. We believe that strong ideas have to be combined with simple interface and open available data. Use InvisibleRoutes and make the world better! The simulation can be carried out at every scale. 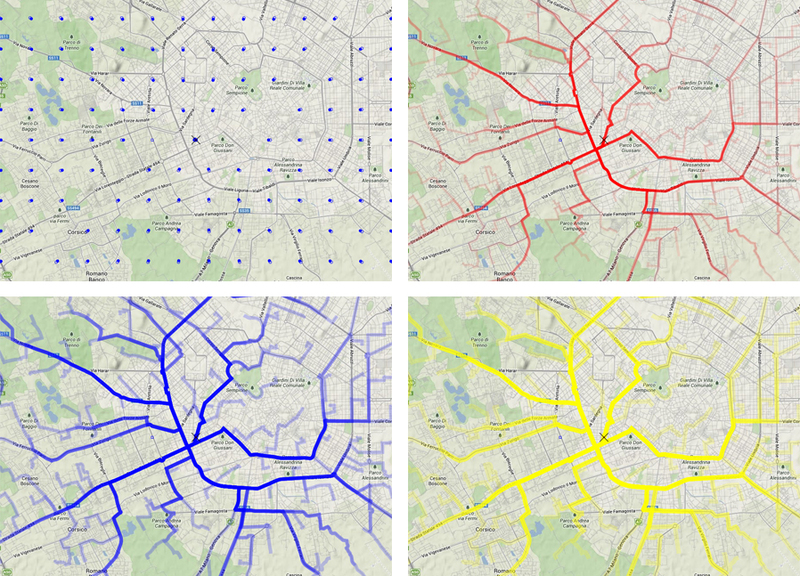 4 differents transport modes can be modelled: (from top sx to bottom dx) driving, transit, walking and cycling. The interface permits to chose different output parameters, such routes color, width and opacity. If you want to contribute to the project or you need clarifications, please contact us at hallo[at]invisibledata.net or visit InvisibleRoutes page on Github. 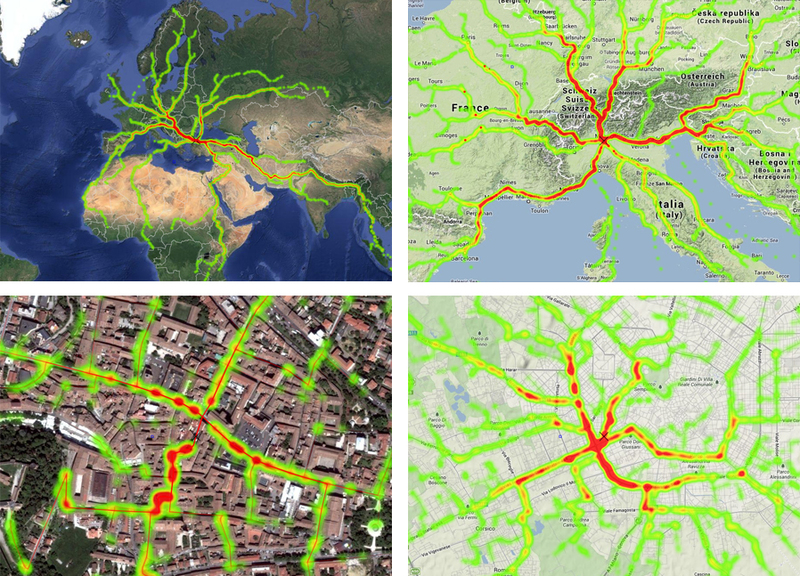 InvisibleRoutes makes use of open source libraries (paper.js, jquery, google libraries) and data (google directions service). InvisibleRoutes is inspired and makes use of code lines taken from Darren Wiens work. Except where otherwise noted, InvisibleRoutes is licensed under a Creative Commons Attribution 3.0 License.